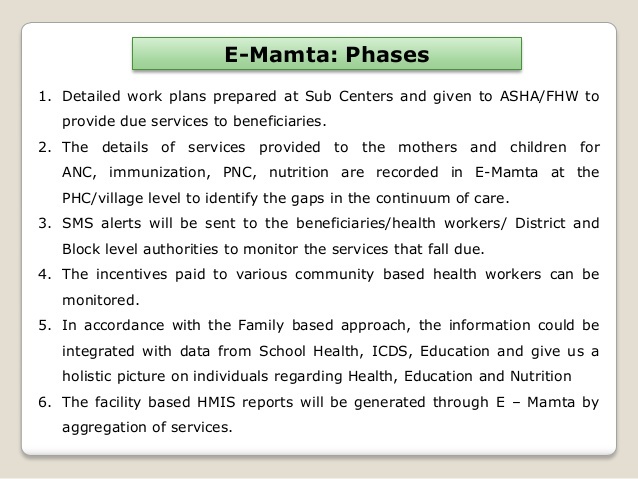 Gujarat Government launch its new scheme to secure mother health and pregnant mother death off its called e- Mamta Yojana. If the mother is to be put to death, pregnant mother should be given full and timely treatment during pregnancy, during childbirth and postpartum. 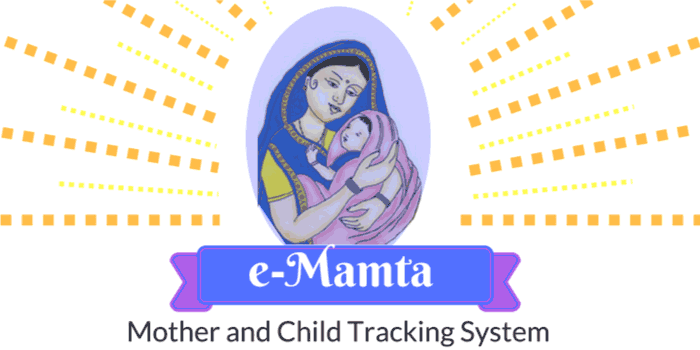 The Health and Family Welfare Department of the Government of Gujarat, has introduced a ‘Mother & Child’ name based tracking Information management system called “E-Mamta” in collaboration with the National Rural Health Mission (NRHM) and National Informatics Centre (NIC). 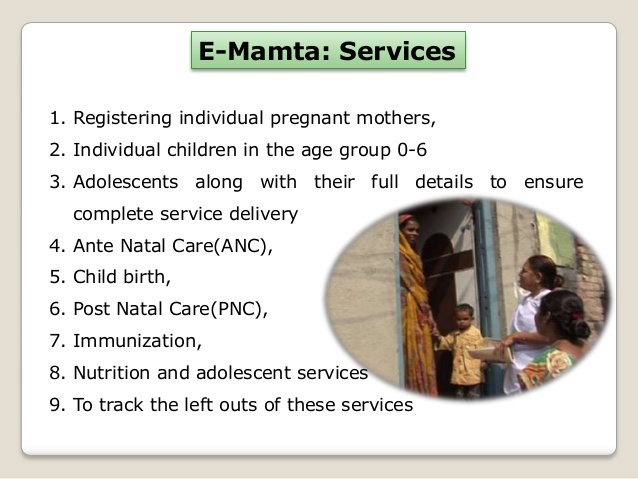 The system aims at registering individual pregnant women, individual children in the age group 0-6 and adolescents along with their full details to ensure complete service delivery of Ante Natal Care (ANC), Child birth, Post Natal Care (PNC), Immunization, nutrition and adolescent services. Department of Health & Family Welfare, Government of Gujarat has created wide network of health and medical care facilities in the state to provides primary, secondary and tertiary health care at the door step of every citizen of Gujarat with prime focus on BPL families, marginalized population and weaker sections in rural and urban slum areas. Department also takes appropriate actions to create adequate educational facilities for medical and paramedical manpower in the state of Gujarat. All pregnant women, Brest feeding women, under five children are beneficiaries of this session. Services provided through this session including growth health check up, immunization, primary treatment, referral and counseling services. These services are provided by a team of health worker, ICDS workers, Kishori Shakti Yojana, girls, Mahila Swasthya Sangh representative and FNGO / MNGO representative. 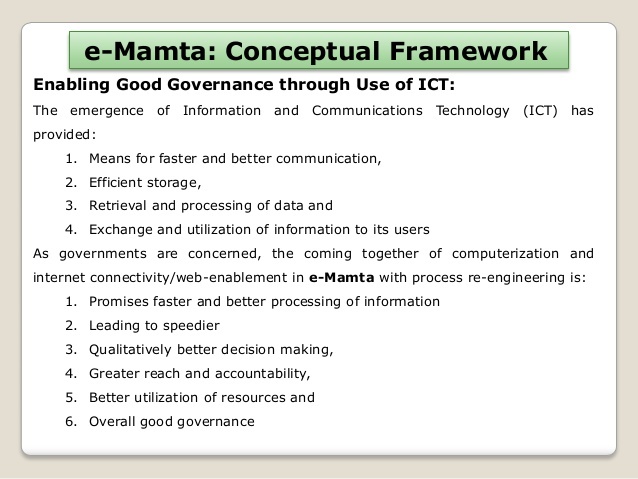 For Any Queries Leave Comment on Comments Box, We Will Try Assist u Best As Our Knowledge.